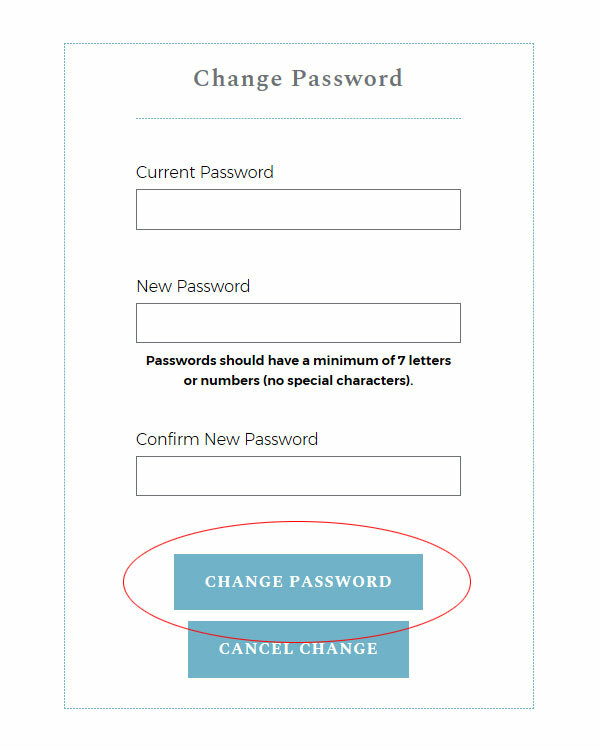 To change your password, sign in to www.emblibrary.com. Click the "My Profile" link at the top of the page. 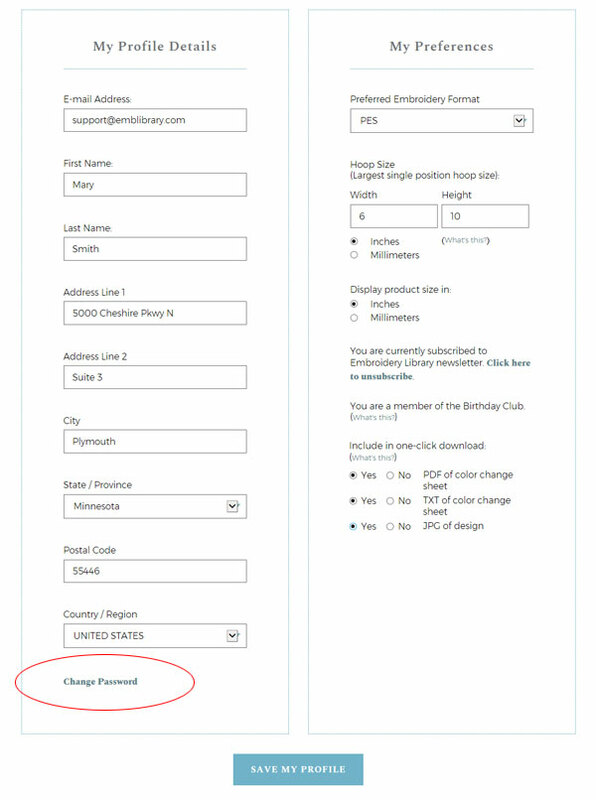 Then, click the "Change Password" link at the bottom of the page. Type in your current password, then your new password twice. Then, click the "Change Password" button. If you cannot remember your old password, then you can have it automatically emailed to you. Follow the steps in this HELP topic titled: I forgot my password?